with purchase of $100 or more of select gift cards. Over 140 select gift cards to choose from! Subject to availability. See gift cards for details, terms, conditions and (if applicable) fees. All trademarks are property of their respective owners. Product may not be available in all states. 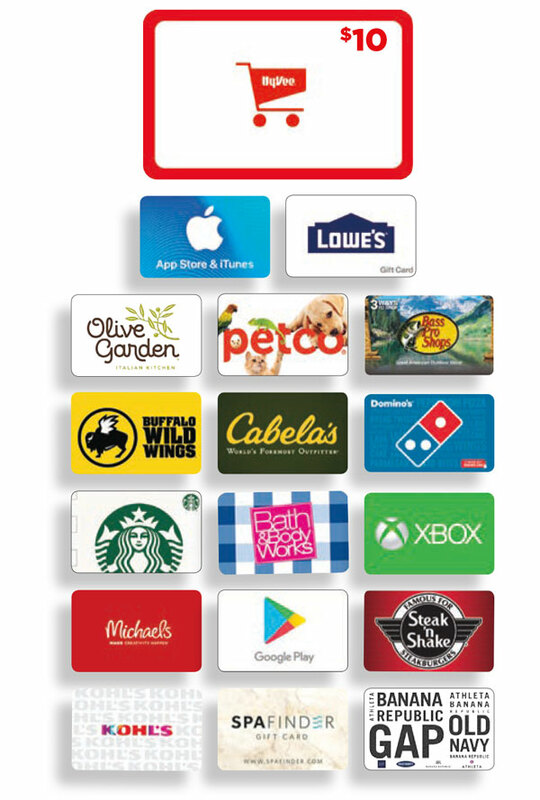 The gift cards featured are not sponsors or otherwise affiliated with this company. Terms and conditions apply to American Express Gift Cards. See Cardholder Agreement. Amex not responsible for fulfillment of promo. Gap gift card valid December 21, 2018.